A Weeklong Celebration of Montana Cider September 28 – October 7 2018! This year, the week kicks off with the Bigfork Cider Festival on Saturday the 29th. Throughout the week, participants will have the opportunity to taste award-winning ciders from Montana makers including Western Cider, Montana CiderWorks, Lockhorn Hard Cider, BetterRoot Cider, and Backroad Cider at participating tasting rooms, bars, and restaurants across the state. Several NWCA members are featured in the recent Sunset Magazine article about great craft cider tasting experiences. Here is the link to the full article but below are the highlights featuring our members! Wine has never really fallen out of favor, craft beer has boomed in recent decades, and now craft cider is on the rise again as U.S. imbibers rediscover the founding fathers’ drink of choice. When done right—and so many in the West do—this alcoholic (and, yay, gluten-free!) drink expresses the complex flavors of the apples, which are usually sourced locally and often foraged. There’s a lot of room for experimentation, too: the brew plays well with other fruit and botanicals, resulting in enough range to satisfy the geekiest of drinker. 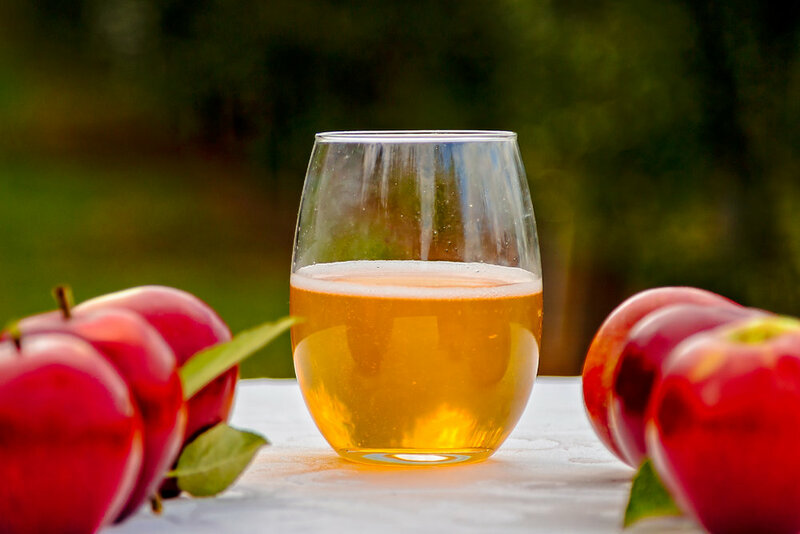 We’re raising a pint glass to these fantastic cideries around the West. A wine barrel stave sign leads the way to this back alley cidery that’s churning out some of the best drink in the state. With seven generations of farming under their belts and a background in winemaking, Patricia and Dan Fox produce stellar ciders that are fermented for months and sometimes blended, drawing out characteristics more commonly found on wine lists. While the craftsmanship is meticulous here, you don’t have to worry about encountering any snobbery. 1859 is a true social spot with a regular lineup of events, from storytelling to salsa dancing. Finnriver—located two hours north of Seattle—has nearly a dozen sub-labels spanning from the traditional styles (like a Spanish sidra) to small-batch, contemporary varieties spiked with flavors like habanero, ginger, and lavender. It’s a Certified B Corporation, which means the owners are also committed to help better the world through sustainability efforts and community projects. Patrons are never in a rush to leave thanks to the welcoming set-up that includes a 60-foot community table outside the quaint barn tasting room; the 10-acre, organic orchard open for self-guided (and guided) tours; and an expansive, family-friendly lawn. While Kim Hamblin’s and Dan Rinke’s apple and pear trees mature, they’re relying on neighbors and foraging excursions for the bulk of Art + Science’s cider and perry fruit. The couple used to host tastings in their kitchen, and although they’ve opened a tasting room (one of the few in the state that’s actually on the farm), the experience remains personal. For now, tastings are by appointment, and that’s why we love it. On a visit, you can meet the cider makers, walk around the organic farm, taste limited-run styles, and learn all the nitty-gritty behind this operation that’s a true labor of love. From the start, this Eugene operation has proven that it’s not just about a bottom line. Instead, WildCraft was built to help restore local agricultural lands and make use of food resources that were going to waste. The crew works with nearly 200 properties within a 35-mile radius (many of which are unmanaged and wild) to help harvest all the apples, plums, pears, and botanicals that go into making the ciders. “We aim to utilize homestead fruit and other agriculture that’s been ignored,” says founder Sean Kelly. Eugene locals get in on the action, too. Through an ongoing drive, neighbors donate unwanted fruit from their backyards in exchange for fresh-pressed juice or cider. A community spirit is palpable in the tasting room, where you can also fuel up on authentic Southeast Asian fare, made by a Thai family who leases the kitchen space. Western Cider’s congenial tasting room is surrounded by dozens of apples trees offering a taste of what’s happening nearby at the orchard, where the team tends more than 5,000 trees and 50 apple varieties. Within just a few months of opening in 2017, the crew took home a Best in Show award at the Portland International Cider Cup—a testament to the care that goes into this brand, built to reclaim part of the Bitterroot Valley’s apple growing history and support local agriculture. Food trucks rotate through the cidery and follow the same line: for example, Take it or Leave It, a mainstay, doles out juicy burgers with meat from its own farm and veggies from its neighbors. Since opening in 2016, Meriwether (named after the famous explorer with whom the owners share ancestry) has been flipping the script on what Idaho thinks about cider—not a syrupy poor-man’s beer made from concentrates, but a carefully crafted, nuanced beverage with as much depth as any other craft beverage. Soon, they’ll expand on that education at a new cider house in downtown Boise. You’ll have to go to the Garden City flagship to see the cider makers in action; but if you want to expand your repertoire, the downtown location will offer flights with Meriwether’s own and other artisan ciders. To say Tieton Cider Works has been on a meteoric rise is an understatement. What started out as a test project with two acres of cider apples and 200 cases in 2009 is now the largest cider apple farm in Washington, with 55 acres and a booming craft beverage business that shells out 100,000 cases annually. That’s what you get when you combine a family with almost a century of orchard keeping experience (the Campbells, who own Harmony Orchards—the birthplace and still-supplier of TCW) with the savviness of a beverage industry pro (cider maker Marcus Robert). While business is booming, Tieton hasn’t lost its down-home feel: the team regularly hosts behind-the-scenes tours at their Yakima location and lets guests test out new recipes to determine what will end up in the bottle. 2018 Cider Cup Award Winners Announced! 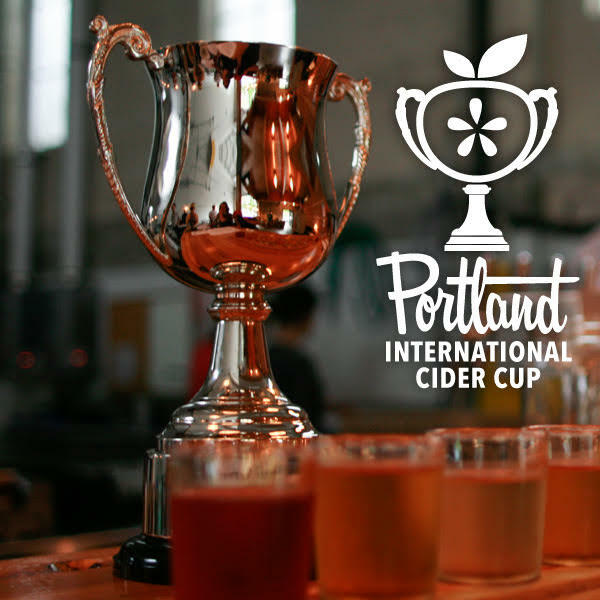 Thirteen Pacific Northwest cideries recently took home sixteen gold medals in total at the Awards Party for the Northwest Cider Association‘s 6th Annual Portland International Cider Cup (PICC). For first time, a cidery from Saanichton, British Columbia, Sea Cider Farm & Ciderhouse, took home the competition’s highest honor and Cup—the Best of Show Award. The party unfolded at the Lagunitas Community Room in NE Portland and drew in over 100 cidermakers and industry friends, who celebrated ciders crafted in the Pacific Northwest—the largest cider market in the United States for consumption and home to a quarter of the country’s cidermakers. The competition itself was hosted at Square Mile Cider on March 25 and was so popular that it increased exponentially this year, growing to almost 170 ciders from British Columbia, Washington, Oregon, Idaho and Montana. The event featured 60 experienced industry judges from across the nation. These sixteen ciders went on to compete in the Best of Show round, in which the head judges from each table found the Sea Cider Bittersweet to be the best of the best. “We are thrilled that Bittersweet has been awarded Best of Show at PICC! Bittersweet reflects our farm: it is 100% estate grown, pressed, fermented and bottled at Sea Cider. Bittersweet is also one of our most traditional ciders. It showcases the earthy, spicy phenolics of the traditional bittersweet and bittersharp apples that we grow,” said Kristen Needham, founder of Sea Cider Farm & Ciderhouse. Draper Girls Cider Co. (Mt Hood, OR) won the Best New Cidery award, which carried with it a $500 prize. Awards were given to Montana CiderWorks (Darby, MT), Swift Cider (Portland, OR) and 2 Towns Ciderhouse (Corvallis, OR), respectively, as Small, Medium and Large Cideries of the year. Montana CiderWorks was also the runner up for the cup for the second year in a row! The full list of medalists and past cup winners can be viewed on the Northwest Cider Association website. 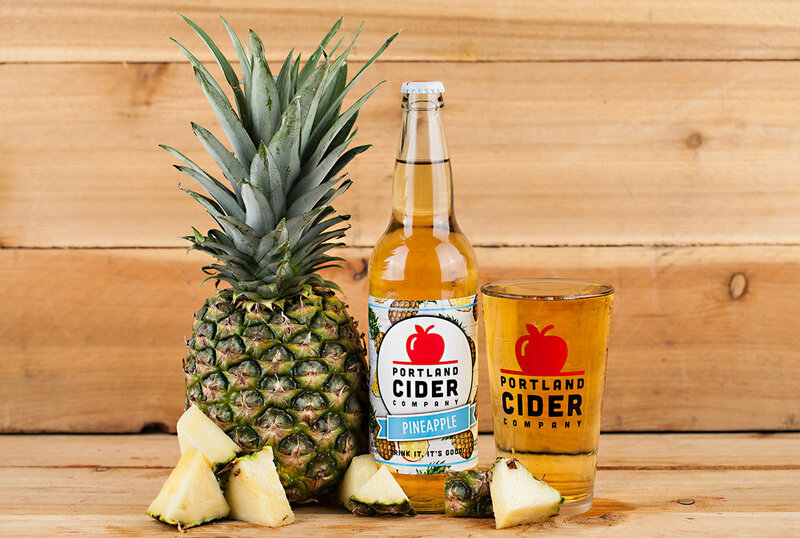 “Our Northwest cidermakers make such a wide range of flavorful ciders, innovating from what our ancestors used to make in America’s early days. Next time you’re in the grocery store, try one of the medalists,” says Emily Ritchie, executive director of the Northwest Cider Association. February 12, 2018 (Portland, OR) – Bauman’s Cider company announces the first ever bottling of their cider with the release of Clyde’s Dry and Loganberry 500ml bottles. The new bottles are available now at Bauman’s Farm and Garden as well as stores, bars and bottle shops through the Portland-Salem metro area. Clyde’s Dry is named after Clyde Bauman, who was born in 1921 on the farm where he would live his entire 92 years. Clyde’s Dry cider is our tribute to his life and his love of the farm. It is a blend of more than a dozen varietals, including sweets and sharps grown on the family farm and loved by Clyde, farming until his very last days. It draws its tannic character from the blend and the addition of some locally-picked Crab apples. Loganberries are generally one of the first berries of the season and make this a sweet, fruity cider. Logans are a hybrid between a blackberry and a raspberry and aren’t picked with a machine as they are too delicate and soft, and those attributes come out in the cider as a sweetness from start to finish. Bauman’s Cider Company was started in 2016 by Christine (Bauman) Walter on her family’s farm located in Gervais, Oregon. The Bauman Family homesteaded to Oregon in 1895 and has been farming in the Willamette Valley ever since. Christine’s great-grandfather Stephen Bauman was known to make hard cider in one of the old barns. While the original recipe has long been forgotten, Christine strives to make cider Stephen would have been proud of, using as many fruits and other ingredients from the farm as possible in her cider. Bauman’s Cider production and taproom is located at Bauman’s Farm & Garden (12989 Howell Prairie Rd NE, Gervais, OR 97026). 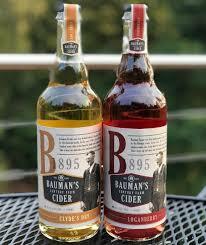 For more information visit www.baumanscider.com.